Drywall installation, as necessary as it is, can become so costly and so troublesome. And what defines the success or failure – and the convenience or inconvenience of achieving said success – almost always relies on the choices you make as a homeowner. Commonly, homeowners choose to do it themselves, relying on whatever knowledge they have about construction drywalls and the DIY instruction pack that comes with it, to save on drywall installation cost of a contractor. Oftentimes, however, because of the limited knowledge most homeowners have on proper drywall installation, and maybe the lack of all the necessary tools, it becomes more costly on repairs, back jobs, and short lifespan of an improperly done drywall. Others leave the job in the hands of the professionals of the industry. And quite frankly, having it done by people who do it every day, and not having to do anything else but monitor the progress of the installation and pay for all the costs is much easier than doing the backbreaking job yourself. However, this choice has its own loopholes. Choosing the wrong contractor could lead to more costs of all sorts – job delays, hidden costs, surprise charges, or poor quality of work. These days, it is hard to find a drywall installation contractor that exudes ideal qualities like professionalism, expertise, and reliability. How do you ensure that you get what you’re paying for, considering that the drywall installation prices Toronto are getting higher? How do you know that you are getting a quality that is made to last you ages and not something that needs to be repaired every half year? • Referral – First-hand experience and word-of-mouth have always been more reliable than the biggest billboards and the fanciest yellow pages ad. Ask around from your close circle of friends and family about their own experience with drywall contractors Toronto – who they relied on, the quality of work they got, how satisfied they are with the end result of the job. And, if you can, see the result for yourself. Check how well it was done, how much it cost and decide for yourself if it is well worth the price you would have to pay for it. • Price Comparison – Most contractors offer free price quotes. Do not hesitate to make a few calls to the drywall installers in your short list and schedule an on-site quotation. Having the professional installers right at your home to check up on what you need and how much their services on drywall taping cost per square foot would give you not only a better comparison of their service costs. It will also help give you a chance to evaluate the people who will likely do the job. And remember, ‘cheapest’ never equates to the ‘best’. A good deal and an affordable service are when you the quality of the result that is well worth the price tag it comes with. • Services Offered – One good indicator of a reliable drywall installer is the variety of related services they can offer. Though not true for all, their ability to do the more complicated types of services like Quietrock Toronto (sound insulation) would likely tell you they have trained for efficiency and expertise in the business. • Materials Used – another ideal gauge for the quality of drywall installer would be the kind of materials they use for their services. A good contractor uses only standard quality materials and tools for all their services. What kind of d300 drywall trim do they use? Does it confer with industry standards? 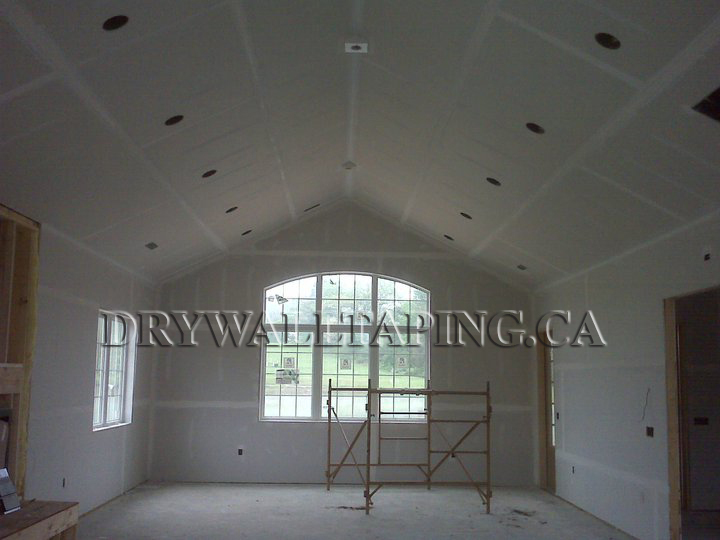 How well will it work for your drywall taping Toronto needs? • Time Frame – one very important deciding factor in choosing the right contractor for you is how soon they can get the job done. In any construction project, especially in existing homes, time is of the essence. You would not want your daily home routine to be too disturbed by existing construction. Ask how much time they need for the size of the project to be done and assess whether or not the time frame they offer is humanly possible. Oftentimes, contractors lie about the time frame, shortening it to impossible lengths, just to win a client’s trust. The results are either haphazardly done, so-so jobs, or delays you would otherwise have avoided. The professionalism of a contractor can well be measured by how honest they can be about the price they put on the quotation and the time frame. This is why you need to take the time to compare contractors. Do not get ahead of yourself and look for the job to get done. Always look for the job to get done well enough to last you decades and not a few years. This entry was posted in Drywall Tips by admin. Bookmark the permalink.